100% cotton and completely safe for baby to wear. The stripes are applied with heat transfer vinyl and is also safe for baby. 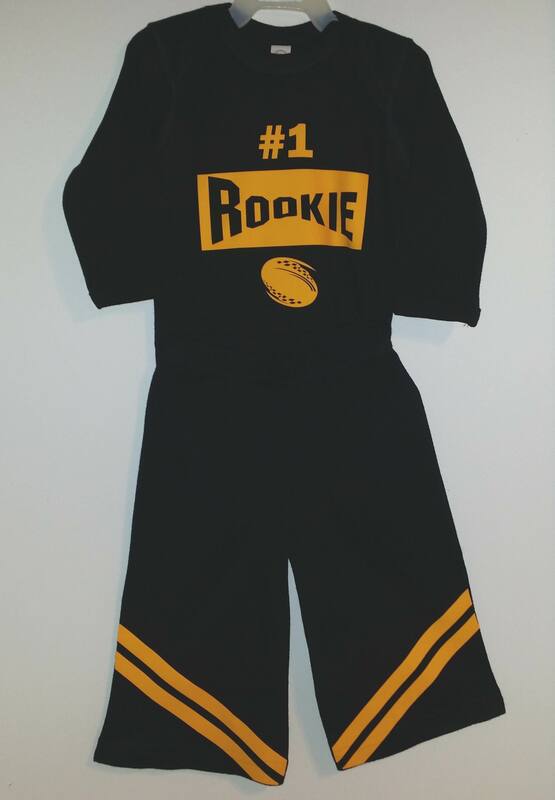 Dress baby with these and the #1 Rookie onesie and an adorable set. Make a great baby shower gift.